When you register a Domain Name with us we provide you with a Domain Control Panel which gives you complete control over that Domain, allowing access to a range of services which are included free with your account. You will be able to make any changes at any time without restriction and at no extra cost. Change Contacts – This allows you to update the contact details for your domain name. Any changes made here are sent to the domain registry. Email Forwarding – This allows you to forward any email address@your_domain to any other email address you choose, for example a hotmail or yahoo.com address. You can forward one address to up to ten different addresses. Catch-All Email – This allows you to forward all email from your_domain to any email address you choose, for example a hotmail or yahoo.com address. Note that if you have any individual email forwarding accounts setup they will be processed before your catchall email. Web Forwarding – Web forwarding allows you to forward your domain name to another web address, for example you could forward this domain name to some free web space you have with your Internet service provider. Home Page Creator – This is for domains which are not in use with hosting accounts. The Home Page Creator allows you to create a simple holding page for your domain name. Simply select the template you wish to use and then fill in the information into the boxes. Domain For Sale Page – For domains which are not in use with hosting accounts. The Domain For Sale Page allows you to place a simple page on your website advertising that the domain name is for sale. 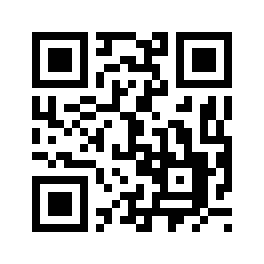 Just enter the email address you would like to be shown to potential buyers and the price for the domain. DNS Management – Care must be taken with changing any of these settings, and is recommended for advanced users only. Wrong settings made here can stop your web services and email from working! There is also a setting to automatically configure your DNS for use with Google Apps. Change Nameservers – This allows you to modify the nameservers for your domain name. You must use valid nameserver addresses for this to work. Change Nominet Tag – Only .uk domains have IPSTAG’s. Nominet is the registry for UK domain names and almost all hosting companies will have an IPS tag (also known as a Nominet Provider tag) which signifies membership of Nominet. The tag is used to show who manages and renews a domain name. Opt out of WHOIS – For .uk domains only, if the registrant of the domain name is an individual, they have the right to opt-out of the WHOIS database, The registrant name will still appear, but their contact details will be hidden. There is no charge for this service. 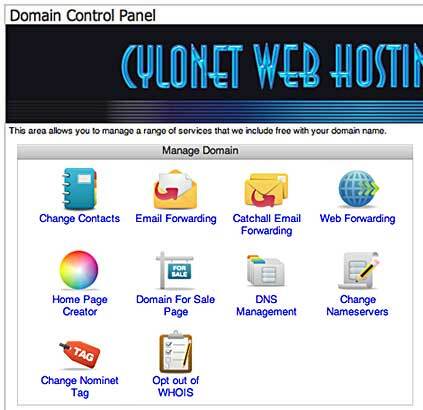 You can access your Domain Control Panel either by logging in to your account and selecting Manage Domains, or directly from http://managedomain.cylonet.com.